If you want to visit a sculpture garden when you are in Massachusetts then you should look at our complete list of MA sculpture gardens. 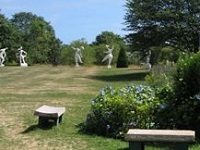 These beautiful sculpture gardens are a must see when you are in Massachusetts! Butler Sculpture Park is really an awesome place to visit. People of MA that love sculptures may go here to enjoy some amazing sculptures. The park stays open seven days of the week from 11:00 am to 5:00 pm. The park Butler Sculpture is even the fourth American single sculptor designed park. You may go here to observe the sculptures made by Butler. The place is really an awesome place to visit. 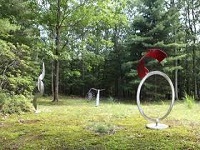 You may also check out the webpage of Butler Sculpture Park for more info. deCordova Sculpture Park and Museum is one of the finest containing some eye-catching sculptures and a museum filled with amazing things. The place stays open for all on Wednesday to Friday from 10:00 am to 4:00 pm and on Saturday and Sunday from 10:00 am to 5:00 pm. 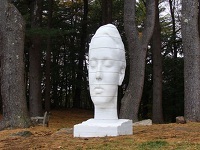 deCordova Park contains a motto to explore the contemporary sculpture and arts through exhibitions and events. They even offer education and programs to learn about sculptures. People that love sculptures, the place is a beauty having so many amazing sculptures. 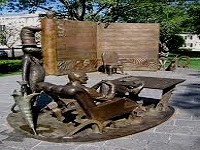 Dr. Seuss National Memorial Sculpture Garden contains some amazing bronze sculptures of Dr. Seuss. The garden is in-fact a beautiful place to enjoy several amazing bronze sculptures. The garden is even a wonderful place to enjoy events and programs. You may even arrange birthday parties or any other program with Dr. Seuss themes. For more info about the garden and its sculptures you may check out the webpage. The place is an amazing place to visit and have fun with Dr. Seuss themes. The Field Gallery contains one of the finest gardens to enjoy sculptures. Here you will find lots of amazing sculptures to view. The place is a fine art gallery that contains a huge sculpture garden. Here you may enjoy several arts, paintings and sculptures made by local artists. The place is in-fact a unique exhibition environment that offers you events and exhibitions to observe. You may visit their webpage for necessary details or contact them for information. The Forest Hills Trust is a wonderful sculpture garden of MA. The place is in-fact an educational place for people. The ground of the garden is open for all, every day from 8:30 am to dusk. People to love to enjoy sculptures, the garden is a perfect place for them. The garden is a cultural resource of Boston, even a historic site. They offer varieties of events, programs and exhibitions for their visitors and to explore the history. Here you may find several sculptures of historical people and things. You may check out their webpage for more details. 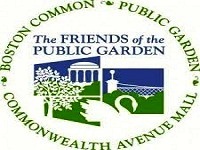 Friends of the Public Garden is really an awesome garden to visit. The garden is truly the best public park and contains some of the best sculptures. The marble Ether Fountain, the sculpture of George Washington and several other sculptures are here to enjoy. 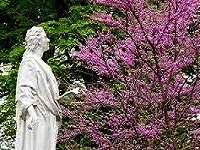 People that love to observe sculptures or are looking for a place that is calm and quite may visit the garden. For more info you may visit their webpage. You can also contact them for details. Isabella Stewart Gardner Museum showcases a beautiful view to attract their viewers. The garden carries some amazing sculptures that the visitors will love to view. The museum of the garden is open for all from Wednesday to Monday from 11:00 am to 5:00 pm and on Thursday until 9:00 pm. People that love to enjoy sculptures or would love to visit the garden museum should go here to observe some eye-catching things. You may also visit their webpage to know more about the garden. 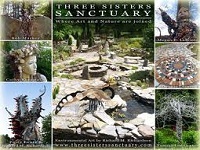 Three Sisters Sanctuary is truly a wonderful place to visit. People that love art and sculptures, the garden is a real beauty for them. The place is open for all from Tuesday to Sunday from 9:00 am to 4:00 pm and closed for occasional and private events. The ground of the garden is beautiful with so many amazing things like the smokeless fire-pit, water garden, sculptures, butterfly garden and many more. You may also hire the place to celebrate any event or wedding. To get detailed info you may visit the webpage of the garden. Edward Monti Stone Sculpture is a wonderful place especially to enjoy stone sculptures. People that love sculptures the place is really awesome to visit. The sculpture fountain created by Edward Monti can be found here and the garden contains some magnificent stone sculptures which are the attraction of Edward Monti Stone Sculpture. The place in-fact contains several more natural elements to observe. 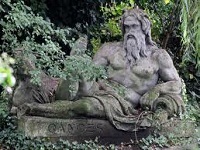 If you really love sculptures you should visit these amazing stone sculptures. You may check out the webpage to get good info about Edward Monti's stone sculptures.